1. Sign up for Gmail. Now it’s time to set up the Apple mail application on your computer. 2. Enter your Gmail details into Apple mail on your iMac, Mac Mini or Macbook. Where it says ‘full name’ enter your name, this is not important but it will appear in the ‘ from’ field and can be anything. Where it says ’email address’ put in your Gmail email address from step 1 above including the @gmail.com at the end. Where it says ‘password’ enter your Gmail password from step 1 above. You don’t want to tick “Drafts.” Every few minutes Apple mail makes a backup copy of your email as you are typing it. If you select this option all these draft emails get stored in your gmail Drafts folder and you end up with lots of clutter! You don’t want to tick “Sent” because Gmail automatically keeps a copy of your sent messages and puts them in its ‘send mail folder’ so Apple mail does not need to. You only need this option checked if your email provider doesn’t keep a copy of your sent emails automatically. The “Trash” option is for email providers who don’t keep a copy of all your deleted emails. If checked it will save all your deleted items to a trash folder incase you want to undo the delete. Gmail automatically keeps a copy of every email that you delete so you don’t need to do this. You want the “junk” option ticked because Gmail automatically takes care of junk mail – you don’t want the Apple mail program deleting it. 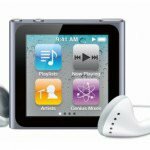 – You can repeat all these instructions to add more accounts to your Apple mail. 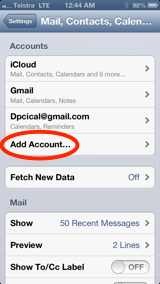 – If you want to set up your Gmail account on an iPhone or iPad read on. 3. 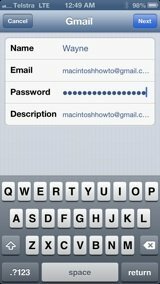 Enter your Gmail details into your iPhone or iPad. – Select the ‘Add Account’ option. You can now access and edit your emails from your Computer and your iOS device. I have trphree g mails accounts and have set up new accounts they are all merged into one mailbox. Can I get too look like it does on my iPad with three mail addresses separate? Thanks. 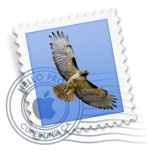 Hi, I just added gmail to my mac mail app. I now see all of my other non gmail accounts in gmail. How is gmail able to pull my other mail over? Is there a setting I can turn off or is this default? I definitely don’t want gmail to have any of my other mail. Now that they have been sucked in- can I delete them from gmail without affecting my email on my mac (any of my accounts)? No that’s not right. 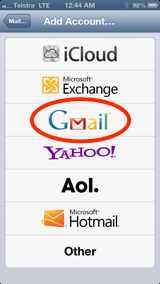 Are you sure they are in gmail and not just in Apple Mail? I could see my gmail emails in Apple Mail as well, but to clarify, I mean logging in to gmail on a web browser and seeing all of my iCloud, Yahoo and other imap emails (accounts that I never added to gmail) inside of gmail. 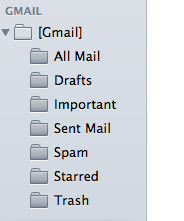 All of my non-gmail emails have landed inside of gmail in a folder called All Mail. I have disabled the new gmail account in Mac Mail to halt the pulling, but it does seem like there is some syncing still happening. I’d like to add gmail to my mac- but not if gmail is grabbing everything else. (2) In Apple Mail > Preferences > Accounts > Mailbox Behaviours, unchecked the ‘Store Draft Messages on the Server’ box. Now, these automatic drafts are no longer being saved in ‘Drafts’ – but ARE still there in ‘All Mail’. If I go back into my Gmail settings and uncheck the ‘All Mail’ box, will that solve the problem? And if so, what will the consequences be? I don’t want there to be any risk of my losing any of my other emails – does anything get saved in ‘All Mail’ that doesn’t get saved in any other folder? Or is there another solution? After spending literally hours on this problem, it seems like at least 100,000 people on one Apple thread have had the same issue. Desperate to get this solved! Thanks!!! I set it up as you said – my only problem is that since switching over to Yosemite, gmail is coming to my computer (Mac Mail), but it is NOT staying in the gmail web account server like it used to. It is important that other people have access to those emails. I’ve checked the preferences and there is no setting to “leave on server” as there is w/my Optimum account. What setting am I not seeing to get the gmails to stay on Gmail? 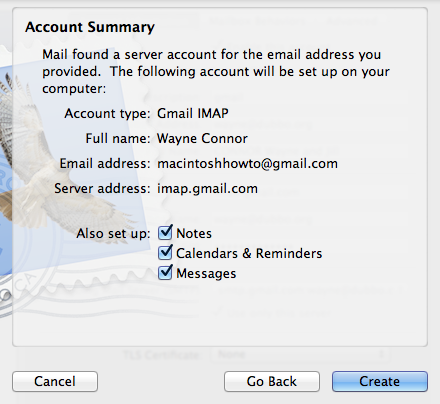 When I type in my name, email (gmail email),and password I keep getting the message “Logging in to the Google IMAP server “imap.gmail.com” failed. Make sure the user name and password you entered are correct, then click Continue. If the information isn’t correct, you cannot receive messages.” The use name and password are correct. HELP!!! 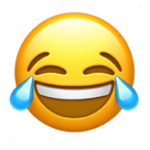 Did you get any joy with this? I’m having the same issue. When I Open Apple mail, and go to the “Mail’ menubar at the top of the screen and then I cannot select ‘Preferences’ from the menu, as it is off. Please for your kind help, HELP. Thank you! On Mac Mail my Gmail account has been working well for years but suddenly the little number in a circle telling me that there are unread emails has stopped working. The unread emails are there when I click on inbox, so otherwise it’s working fine. I have other email addresses – Yahoo, BT and Hotmail and another Gmail address which all still work perfectly in this regard. Any ideas what I can do to restore normal service? I have just bought this new macbook pro and 1 of my gmail accounts is synced and the other gmail is not getting synced. the error message is “network connection error” whereas internet connection is working. While using Google mail account on Apple Mail i am facing problems the mails i delete start showing back, but if i go to gmail web interface and then delete they never re appear. Just followed above instructions as best I could to set up gmail on Apple mail. One problem: rather than show my account name on the sidebar it reads “Google.” Can I fix this? 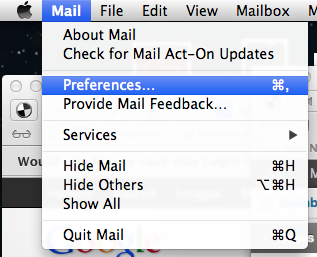 Go to mail:preferences and change the ‘Description’. I am trying to correct my send alias. 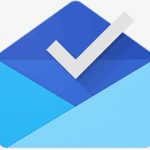 We are using google mail for security purposes but want emails to get sent from an alias. They are routed from the alias and are coming into the gmail account which is also an alias. How do I change things so that when I reply people see my email address and not the gmail account? Anyone have an answer for this? I’ve not had this problem so it’s hard to find a solution! Try deleting all accounts from mail (you will lose saved messages) then enabling them again. Try deleting the account from System Preferences ‘Internet Accounts’. Under Mail, Preferences, Accounts, Advanced check that ports 993, and Use SSL is checked. Under Mail, Preferences, Accounts, ‘Account Information’, ‘outgoing SMTP server’, ‘Edit SMTP Server list’ check that Port is 465 and SSL is checked. And please let us know if that works! After trying to add my 2 gmail accounts to Mail.app I only received the message “you are already signed into that account”. I found a solution when I went to System Preferences>Internet Accounts and there I checked Mail under the accounts. I deleted and added some accounts on Gmail, however these have not updated on Mail.app – can anyone advise me on how to do this? You need to manually put the new accounts into the Apple mail app. You will need to put in the email address and the password. Mail app has no way of knowing what accounts you have added on Gmail unless you tell it. I have a new MAC computer and I’m trying to get my gmail account to run through mac Mail so I can receive my g -mail. I have run through the steps provided on the website and I’m unsuccessful. I had to call Apple and they helped me. I cant get my Mac mail sink with gmail can you please help ? I’m so sick of this problem every time I restart my mac, same thing. It says I must re-input my password for my gmail, then eternal SPOD (not the colored wheel, however, more like flashing spokes). So I delete the account and restart. Upon pressing the + button to add a new email account, it gives you the option of selecting a google, or other, pre-select types. If you select google you get eternal SPOD. Select ‘other’ and you can do it. But I’m sick of having to over and over again and no answers anywhere. or the proxy settings are insecure! !I have tried so many times and so many ways that it becomes very frustrating!!! Can ANYONE Help me PLEASE??????? back to preferences, added gmail and it came right back! Thanks so much for the advice Sue but I finally went into the Keychain access typed in Gmail and everything I needed came up I just deleted all that was in Red and hey presto I was able to put my 3 Gmail accounts back into my mail. It’s great to get feed back form any of you out there and I will be posting a question shortly as I need help with another issue I have. Thanks, Sue. Worked for me. I have been trying all day to set up a google email account to go with my web site name hosted at Weebly .com And have been totally discouraged by the process. 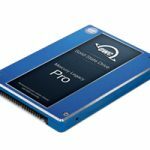 Willing to pay for it too, but have no luck getting it to work. You could notify me of follow up comments.. but guess what.. my email does not work.. as a result of this mess.. I have it all set up right now. Only problem is, on my iphone when I want to sent an email I’m able to choose from either my apple mail or my gmail account. On my macbook this option is not given, and I can only sent mails via my Apple mail. I had previously setup my Gmail account so that when I send email from Gmail, it uses rowland@mydomain.com. That is the address I want all email recipients to see. Incoming mail to myname@gmail.com and rowland@mydomain.com now appear in both Gmail and in Apple Mail Inboxes. Perfect! 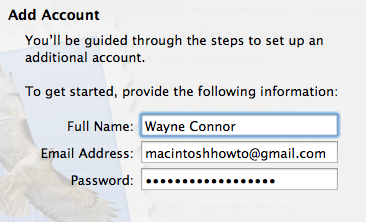 Now when I send email from Apple Mail, it lists my address as myname@gmail.com. And the outgoing email appears in both Gmail and Apple Mail outboxes. HOWEVER, I want the outgoing emai addressl (from Apple Mail) to be rowland@mydomain.com not myname@gmail.com. I also want that email to appear in the Gmail outgoing box. Is that possible? Mail, Preferences, Account Information, Aliases. Doesn’t work for me but it’s meant to do what you want. For me the instructions were a little old but followed the context and it worked fine. I am a new Apple Mac user and it is a big learning curve coming from a PC and Android. That all appeared to work and was exactly what I wanted. Thanks. In mail app preferences, accounts. 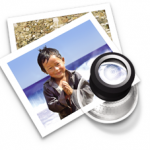 I’ve added a gmail account on my mac mail but it won;t set up. having ticked the box for calendars, notes, etc that all works but the mail box wont tick and the account is not showing in preferences but if I try and access it by going through accounts in macmail it keeps telling this account is already set up. Why is it not showing in preferences and why won;t it connect? any ideas anyone?? Give Apple support a ring – they are very good. 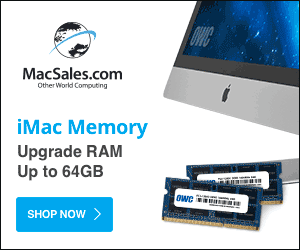 You have free techsupport on any mac you buy.